You have a considerable investment in your Oriental rug. Like the rest of your house, quality rugs need regular maintenance and care to maintain their value and appearance. Who can you trust in Granite Bay and the Sacramento area to clean your Oriental and custom rugs? 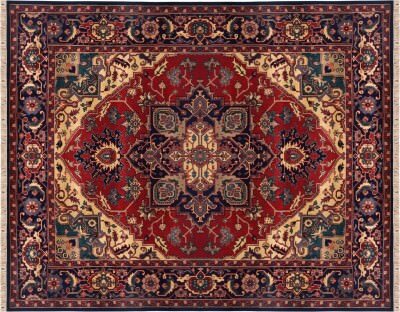 Artistic Associates is the first choice of Sacramento’s favorite interior designers for full-service cleaning and restoration of Oriental rugs and custom floor coverings. Begin with more than forty years of experience cleaning custom and Oriental rugs. Add specialized expertise in cleaning wool, silk and natural materials. Combine that knowledge with specific training from theInstitute for Inspection, Cleaning and Restoration. This professional skill set is essential for a successful rug restoration, and you find it at Artistic Associates. Your precious heirlooms deserve careful maintenance. We feel confident you will find our time tested procedures will provide the outstanding care that you want and deserve. We are fully equipped to handle even the toughest of stains such as pet contamination. You will love our custom cut underlayment to provide your rug the foundation it needs to ensure a long, healthy life. Artistic Associates treats your silk, wool and traditional Oriental rugs in our custom-built workshop. This guarantees that your rug is cared for by hand and comes back to you in the best condition possible. Doing all our own work insures that your rug is thoroughly and safely examined and tested before proceeding with a complete cleaning procedure. Your investment is in our personal care every step of the way, so you have no worries about trusting it to unknown subcontractors. Our practical knowledge, certified technicians and in-house facilities are the best guarantee that your Oriental and custom rugs will come back beautiful. Artistic Associates is also fully insured and bonded. Call the rug restoration service that Granite Bay can trust! Our training, facilities and straightforward pricing all guarantee that the cleaning and repair of your Oriental rugs will be an enjoyable experience. Discover the skill and integrity of Artistic Associates by calling us at 916.483.7400.